Home / Online Business / Do You Owe the Section 965 Transition Tax? Do You Owe the Section 965 Transition Tax? For either 2017 or 2018, many U.S. taxpayers with an interest in a foreign corporation owe(d) the § 965 transition tax. However, the new rule arrived so quickly before tax season that many taxpayers may have missed it. In addition, certain aspects of the tax don’t quite line up with Congress’ stated intention for enacting the new rules. So, it would be understandable for practitioners to not realize, in the chaos of tax season, that § 965 tax applied to their clients—particularly their non-C-corporation clients. Accordingly, this post exists to warn practitioners about the nature of the § 965 tax and provide some actionable insight on what to do about it. 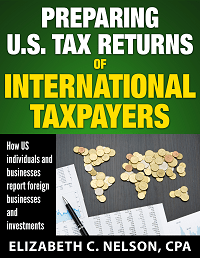 The 965 tax hit U.S. shareholders owning a “deferred foreign income corporation.” The new statute defines a “deferred foreign income corporation” as any “specified foreign corporation” with post-1986 E&P which the U.S. hasn’t yet taxed. Probably most specified foreign corporations are “controlled foreign corporations” (“CFCs”). As a refresher for those who don’t work with foreign investment reporting all that much, a CFC is a foreign corporation where U.S. shareholders owning individually at least 10 percent of the foreign corporation stock collectively own more than 50% of the foreign corporation’s stock. These are the foreign corporations we’ve been reporting on 5471s for years. However, one important thing to realize about the new § 965 is that the definition of “specified foreign corporation” is broader than that of a CFC. A specified foreign corporation (often abbreviated “SFC”) can be a controlled foreign corporation. But it can also be any foreign corporation with at least one U.S. corporation as a shareholder. So, some clients of yours who own foreign corporations may have needed to file a 5471 for the first time last year because their foreign corporation counted as an SFC. In addition, it would be understandable if a taxpayer assumed that § 965 transition tax only applied to C corporations. The idea behind the transition tax, after all, was to tax pre-2018 earnings held inside foreign subsidiaries before C corporation parent companies transitioned to a new territorial tax system. However, § 965 applies to all U.S. shareholders, not just U.S. C corporations. And there’s no special “small taxpayer” exception to help the little businesses get around the complexity. Two examples show how easily U.S. taxpayers with small corporations overseas fall into the Section 965 tax trap. Example 1: Your small business wholly owns a foreign subsidiary. Maybe a small Irish brewery operating (predictably) as an Irish corporation. Your small business formed the subsidiary ten years ago and most years the brewery makes a small profit. In this case, that Irish corporation counts as a deferred foreign income corporation (because the Irish corporation is a CFC.) Your 2017 tax return should have reported the earnings accumulated over the last ten years as taxable income. Example 2: For three decades, you and five college friends have individually owned 10.2% shares of a foreign corporation that operates a small hotel for surfers in Costa Rica. (Local, foreign investors hold the remaining shares and manage the property.) The Costa Rican corporation counts as a deferred foreign income corporation (because the Costa Rican corporation is a CFC.) The 2017 tax returns of each of the individual U.S. taxpayers owning shares should have reported the earnings accumulated over the last ten years as taxable income. The one bit of good news in all of this? The Section 965 transition tax isn’t terribly expensive if you know how to calculate it correctly. 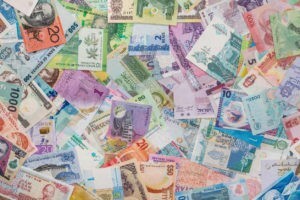 The tax is approximately either 15.5% or 8% of any foreign income previously untaxed by the US. (Compare that to 2017 top marginal tax rates of 35% or 39.6%). And taxpayers can often claim a foreign tax credit for foreign income taxes paid in prior years—if the tax preparer is careful and knows what they’re doing. Note: For taxpayers who owe the tax in 2017, to calculate the actual Section 965 income amounts and then the deductions the law allows, you need to read IRS Publication 5292 and use its worksheets. For taxpayers who owe the tax in 2018, you’ll use future Form 965 and its supporting schedules (currently still in draft). Furthermore, the Section 965 statute provides some special elections that taxpayers can make to delay paying the tax. A Section 965(h) election, for example, lets a taxpayer pay the tax in eight payments over the next eight years. Another election, the 965(i) election, lets an S corporation delay paying the transition tax until a triggering event. “Triggering events” include stuff like the S corporation revoking its election or liquidating. What If You Flubbed This? If your 2017 tax return should have included the Section 965 transition tax, you’re going to need to amend the tax return, calculate the tax, and then pay what you owe. Omitting this tax from your tax return is a big deal. It’s like “omitting” the AMT tax, the self-employment tax, or the net investment income tax from a return. But you have another serious issue if you bungled the Section 965 transition tax. If you owed a Section 965 transition tax for 2017, you also owed the IRS a Form 5471 for either 2017 or 2018—even if the foreign corporation triggering the tax wasn’t a CFC. A caution: The penalties for filing late 5471 forms can be severe. You probably want an experienced tax accountant to help with this. The post Do You Owe the Section 965 Transition Tax? appeared first on Evergreen Small Business. Next Section 962 Election: An Answer to GILTI?